Biologist Sarah Steele Cabrera gets ready to release Miami Blue butterflies at Long Key State Park. 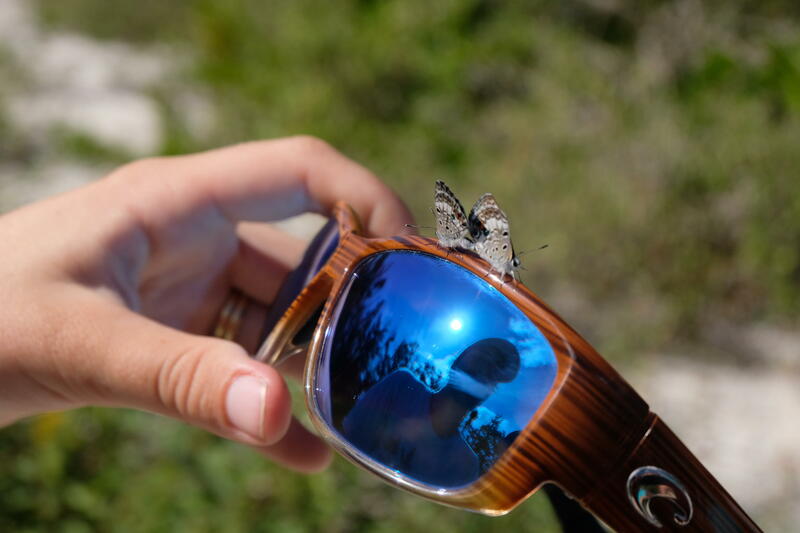 A Miami Blue butterfly gets ready for life in the wild. 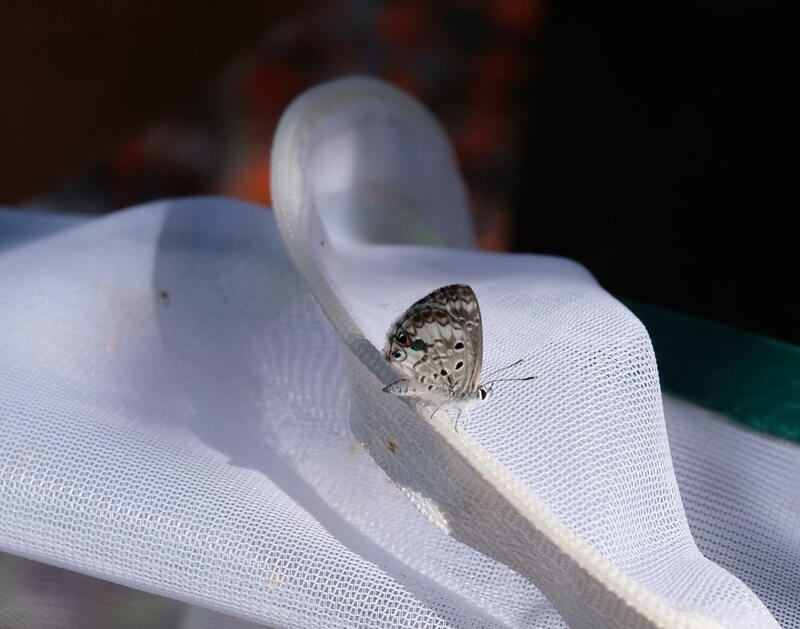 A pair of Miami Blue butterflies waste no time after their release to start reproducing. Taylor Hunt is a biologist working on the Miami Blue butterfly release project. Volunteer Kim Gabel helps out with the release of Miami Blue butterflies on Long Key. Seven years later, Miami Blues were spotted in a state park in the Lower Keys. It was such a big deal in butterfly world that the president of the National Butterfly Association flew to South Florida the next day to confirm the sighting. Now Miami Blues are protected by law. And they're the focus of a captive breeding and release program run by the University of Florida. Four times in 2018, researchers and volunteers released lab-bred Miami Blues at Long Key State Park in the Upper Keys. The first three times, they were released as pupae. On the fourth time, they're adults. The butterflies emerged as adults right before their release, but they've had pretty adventurous lives so far. For a butterfly. They started out in the lab at the University of Florida in Gainesville as caterpillars. When they became pupae, they were shipped by FedEx to the Keys. They emerged as butterflies in Sarah Steele Cabrera's office on Big Pine Key. Then they went on a car ride to Long Key State Park. "These guys are wanting to get in the sun," said Cabrera, a University of Florida graduate student who runs the Miami Blue project in the Keys. "Oh, see this one's already trying to mate. You see the way it's curving its abdomen? They haven't been in temperatures this warm yet in their short lives," she said. "They're raring to go." Time is off the essence. The Miami Blue's lifespan is about a month, total. That includes its time as an egg, a caterpillar and a pupa. As an adult butterfly it gets from a few days to a week. "That's enough time for them to come out, fly around, find a mate, lay eggs and die," Cabrera said. And that's if they're lucky. Everything wants to eat them, including wasps, lizards and birds. "They're just a tasty little morsel for any — any other animal, basically," Cabrera said. Except, it turns out, for carpenter ants. They feed off a sugar liquid that Miami Blue caterpillars produce so they protect them. "They're large and fairly aggressive ants and if they have a caterpillar that they're tending, they do not leave that caterpillar. They're just walking back and forth, patrolling," Cabrera said. "If they find another insect near, they will pick it up and throw it off the plant. The rediscovery of the Miami blue was a huge deal for people who are into butterflies. There's a butterfly watchers chapter named for them. Their fans lobbied hard for state and federal protection. But — it's not an especially impressive specimen. "You talk about a blue butterfly, most people think of like a blue morpho like in Central America. So they get in their head that they're these huge, giant bright blue butterflies," Cabrera said. The Miami blue is about the size of a thumbnail. And it doesn't even look blue unless its wings are open. "They're just little teeny guys that flit around and occasionally show you the blue," she said. 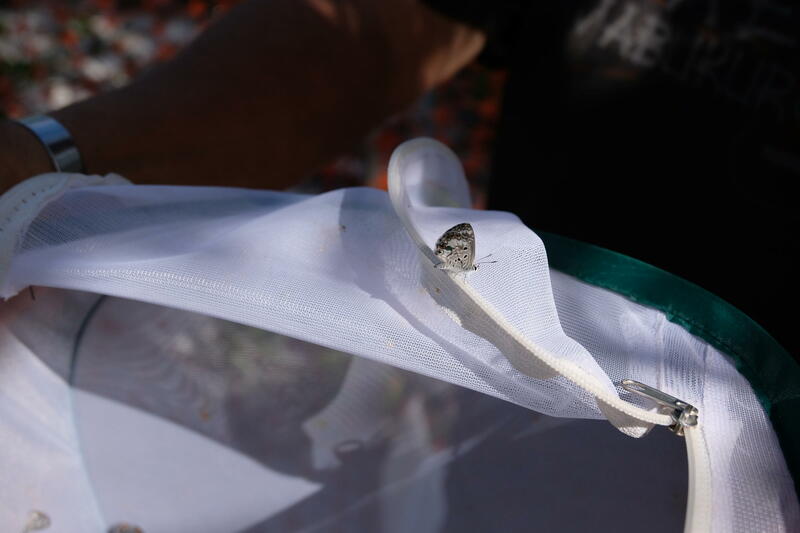 After releasing the butterflies, the biologists and volunteers will return to the site to see if they survived — or better yet, reproduced. "They don't fly that far," said Taylor Hunt, a biological technician on the project. "They're not going to fly a half mile. They're not going to fly a quarter mile. They're small butterflies, they're not going to fly in this wind, they're going to stay localized to this area." The range of the Miami Blue butterfly once stretched from Sarasota on the Gulf coast, through the Keys up to Cape Canaveral. "I have an old butterfly guide from 1954 and they were listed as common. So common that nobody ever really gave them a second thought," Cabrera said. Taylor Hunt says it's not hard to find Miami Blue butterflies after they've been released - because they don't fly far. But the host plants where they lay their eggs — gray nickerbean and blackbead — are only found in coastal areas. Those waterfronts that saw lots of development in the 1980s and '90s. "When they disappeared, what they were telling us is that there just wasn't enough of their coastal habitat left," Cabrera said. "If there isn't healthy, wild beach berm habitat, there more than likely will not be Miami blue butterflies. For now, the only wild population left is on a few islands to the west of Key West. 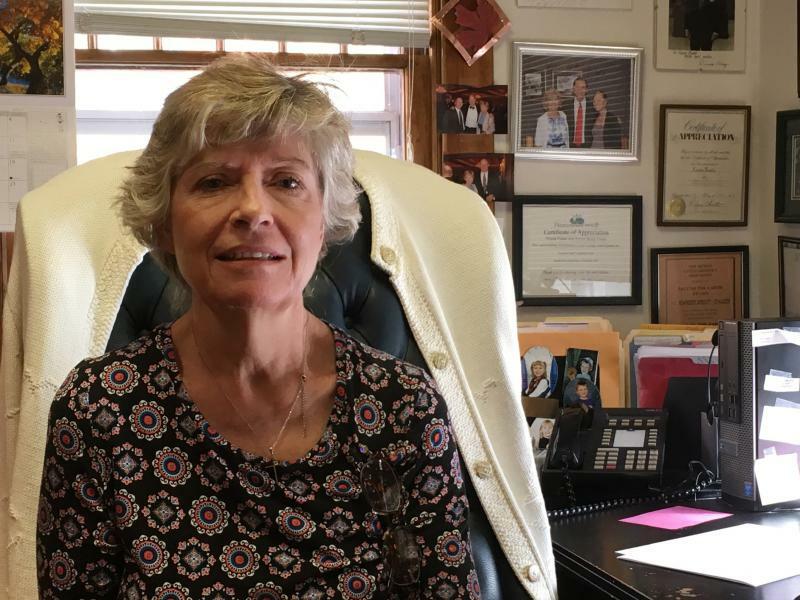 "So the population is likely — depending on the day — between the hundreds or thousands when there should be millions of them across the state," Cabrera said. Cabrera said Miami Blues could thrive where people live, as long as they have the plants where they lay eggs, the plants that provide the nectar they eat — and they aren't regularly sprayed with insecticides. 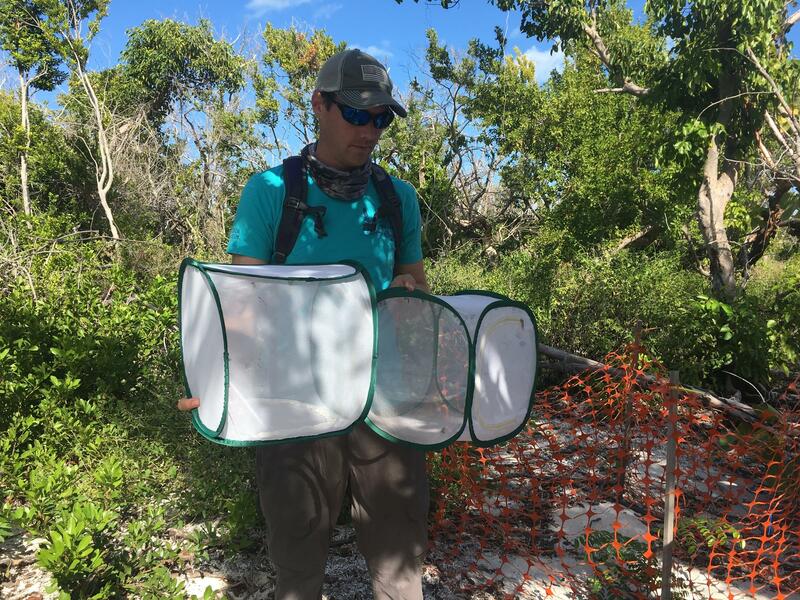 One crisp, sunny afternoon this month, grad student Sarah Steele Cabrera headed down a sandy path at Long Key State Park carrying two nylon bug containers. Cabrera had scouted out the park, a former fishing camp fashioned into an early version of glamping by railroad tycoon Henry Flagler and now a tangle of gumbo limbo, poisonwood and prickly nickerbean, and found a perfect spot to release the contents of the boxes: 60 newly hatched Miami blue butterflies, among the rarest insects in North America, and maybe the world.